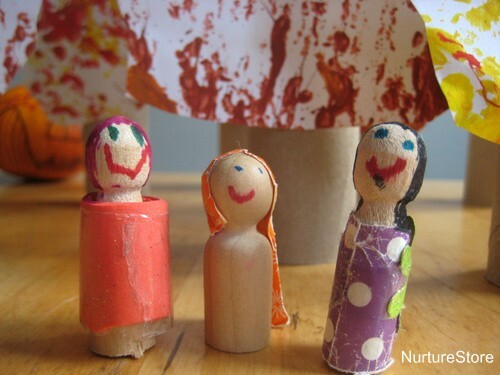 Having the right things, in the right places can really help to spark children’s imagination. 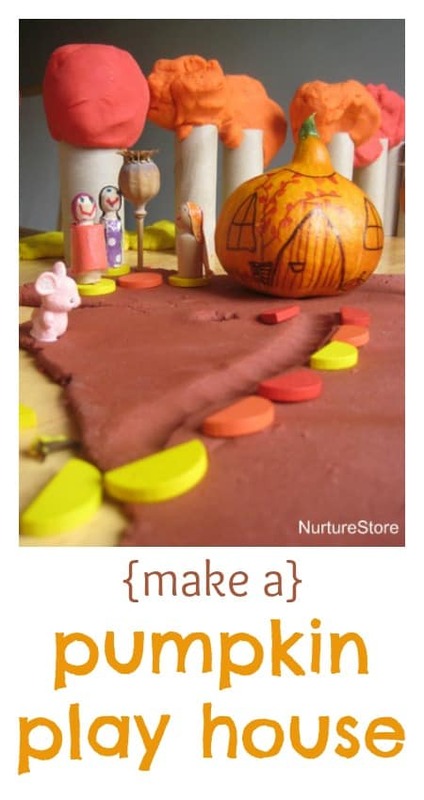 Pulling in play dough, art and imaginary play, here’s how to turn a pumpkin into a house! 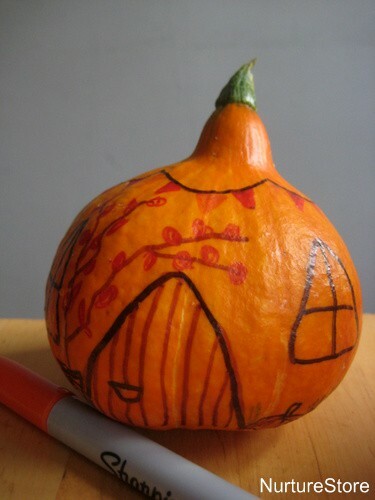 I have a special fondness for pumpkins. I’ve dreamed of having a pumpkin patch since I was a child, and this year, for the first time, we had the space to grow some of our own. They’re so pretty, and these small ones are so tactile, that we couldn’t resist using one for some play. 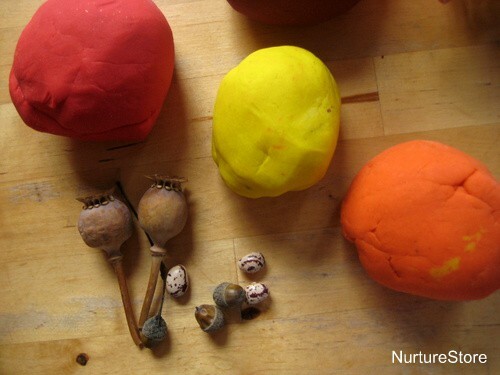 Don’t you think they’re just the right size and shape for a fairy house? 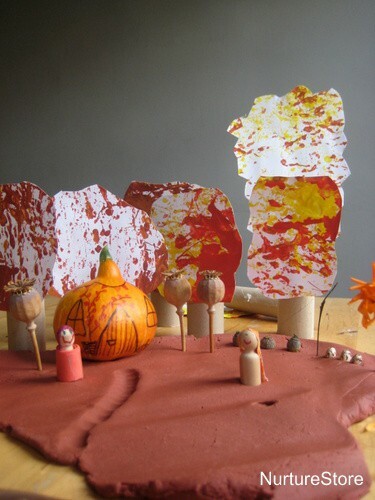 Then to go with our house, we pulled in lots of bits and bobs from past playtimes to create an imaginary land. 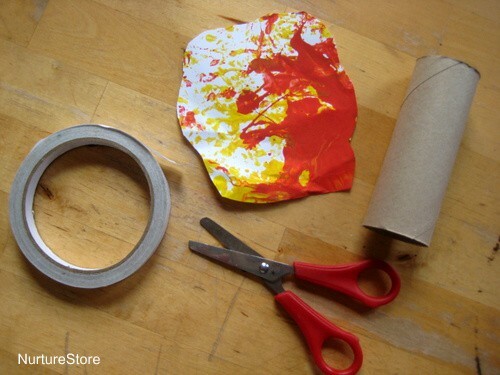 We used the paintings we made with acorns, cut them out and stuck them to some paper rolls with a bit of double-sided sticky tape…. 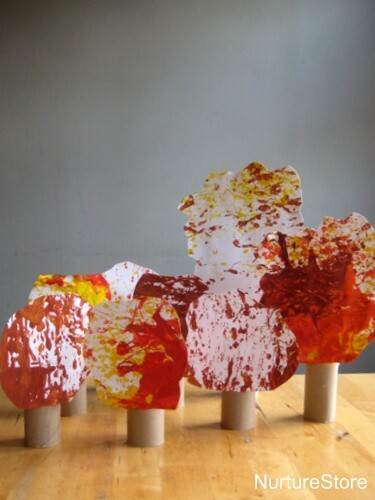 and made some gorgeous autumn trees. These dolls were last seen when we made a fairy land. 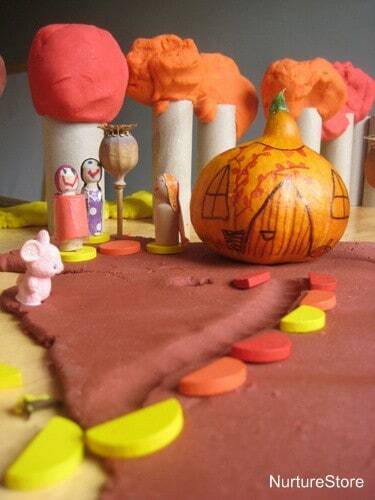 My daughter decided one of the fairies was actually Baba Yaga, the bony-legged witch, in disguise, and set about re-telling the whole story, creating extra props when she needed them – like the play dough trees which she needed to make her deep, deep forest. 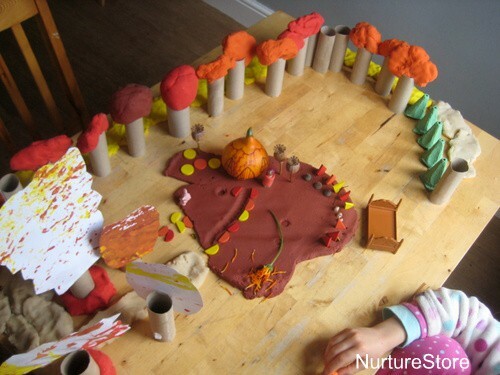 The result: a fantastic imaginary play time, full of creativity and language and storytelling – all from things around the house. Play doesn’t need to be complicated – but creative play can really be encouraged by having the right kind of materials, in the right places, available to your children. That is the cutest play scene ever! Love the trees! 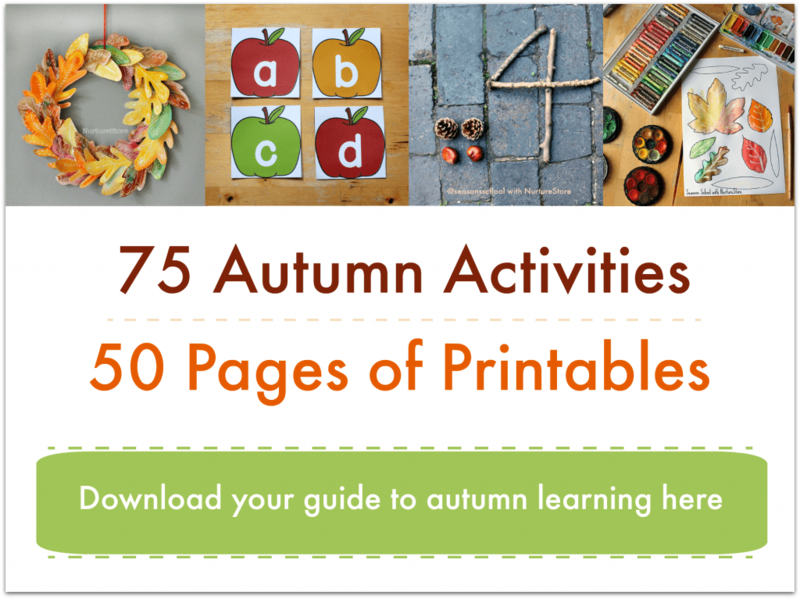 I just loved this activity, Cathy. Love the variety of materials in this set up!